Adele Jones is Professor of Social Work at the University of Huddersfield. 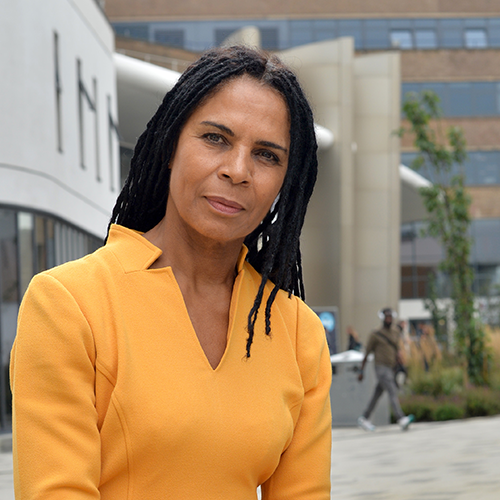 Previously with the University of the West Indies, Adele specialises in international children’s rights and the prevention of violence against women and children. She is the author of numerous publications on topics as varied as child abuse, adoption, residential care, migration, child refugees, gender inequality, and HIV-AIDS, and has directed research in over 16 countries. Adele has initiated/managed over 26 externally-funded research projects including: the Sondai Project on HIV-AIDS in Trinidad and Tobago; the COPING Project (www.coping-project.eu/), an EU pan-European study of the impact on children of parental imprisonment; a UNICEF commissioned study of child sexual abuse in six Eastern Caribbean countries; and also contributed to a UNICEF commissioned study into violence against children in Tanzania. She is the creator and Director of the EU-funded (€400,000) None in Three Project in Barbados and Grenada which laid the foundations for the establishment of a global Ni3 Research Centre. For more information, please visit Adele’s profile.